Water repellent, windproof jacket tucks away for when you need it, but has tons of useful details which will make it your everyday favorite. The hip pouch is made for the rider who needs easy access to a u-lock and daily essentials on the fly. Dimensions: 6" x 9" x 3"
100% Merino wool no-show sock. 2) Tag your photo "Vélo Vogue Photo Contest" and "Chrome." 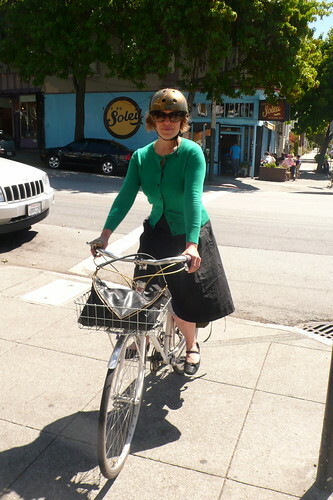 3) Write a description of your outfit, your bike, and where you & your bike were going for a libation. 4) Multiple entries may be submitted. Riding snoball (soma mixte) to meet KT for mimosas at Café du Soleil to talk about the rules and commitments for the VV photo contest. Going to a friend's birthday dinner at Le Colonial - cosmo chic! Le rouge et noir mixte delivers once again! 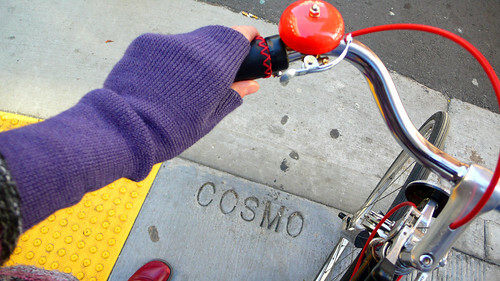 Bike to Bar, take photo, win prizes - GO! Join the contest and send us some pics of you on a riding adventure! Great contest idea! Definitely one I will be entering. Looking forward to your submission, James! 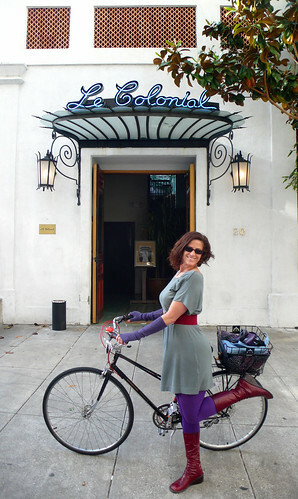 Dottie - we are also awaiting your bike to bar pic with anticipation!